This t-shirt exudes a fashion-forward appeal. With crew neck and long sleeves, it ensures an immaculate style. 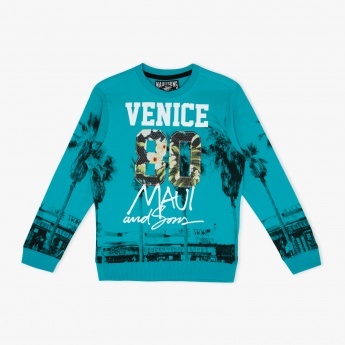 The contrast stitch detailing and all over print exudes a refreshing appeal.